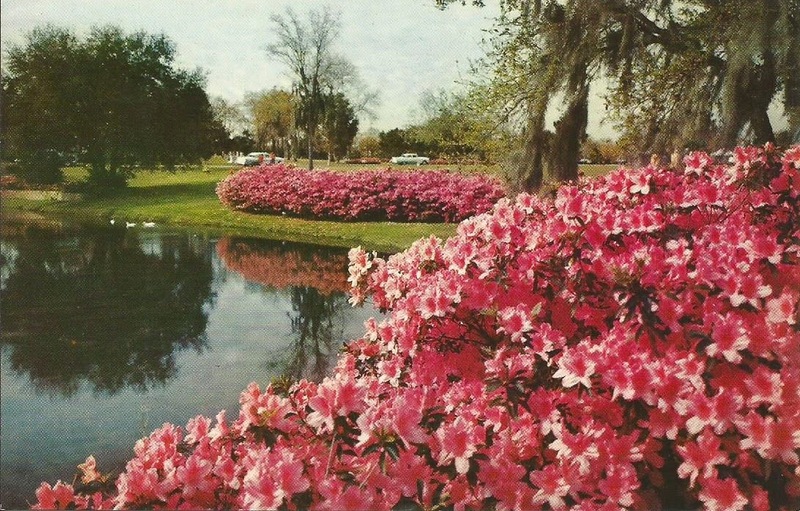 Azaleas...one of the South's most spectacular flowering shrubs. 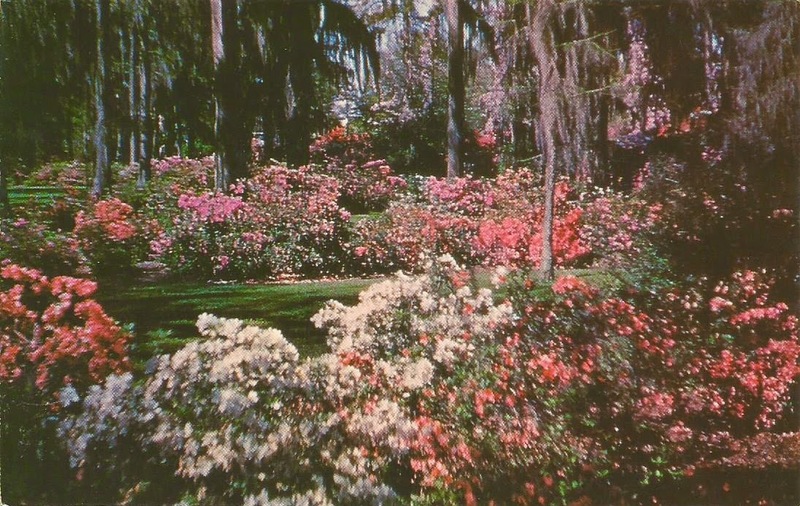 Magnolias, Azaleas, and Moss-covered Southern Trees in a Garden. 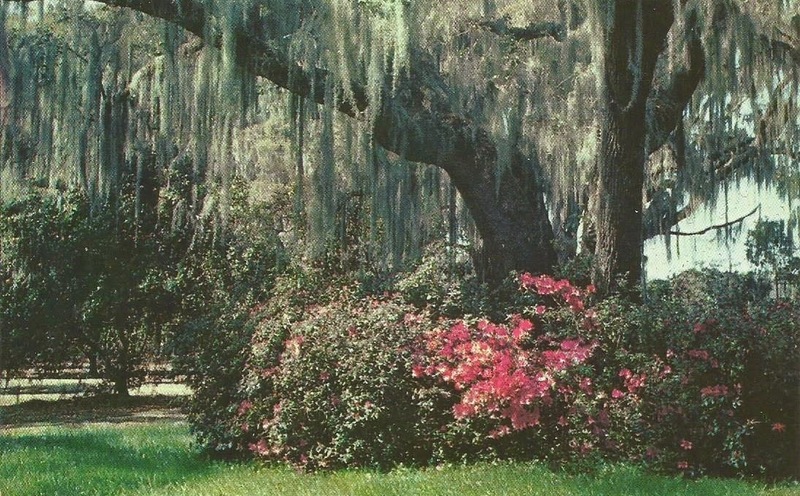 Romantic Spanish moss and colorful azaleas are combined in this scene of gorgeous beauty, typical of many such spots to be found in the deep South. 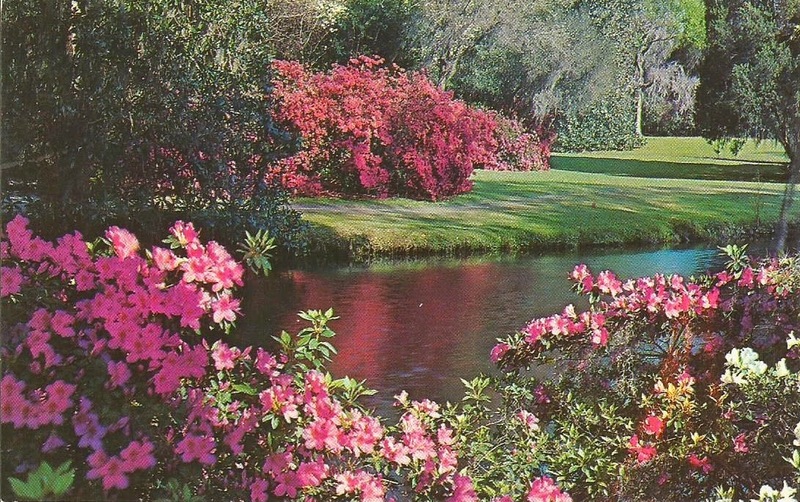 How much do I love azaleas!